Acer Windows Mixed Reality Headset Developer Edition is now available in the Microsoft Store. Last year, Microsoft announced that HP, Dell, Lenovo, ASUS, and Acer would be making low-cost virtual reality headsets. Unfortunately, the HP head-mounted displays (HMD) is already out of stock. 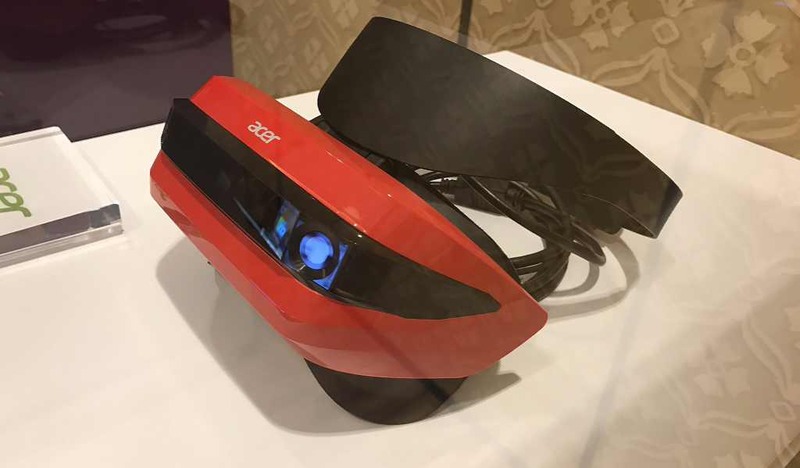 Both Mixed Reality Headsets have two LCDs at 1440×1440, 2.89-inch display size, 95-degree horizontal field of view, refresh rate of up to 90Hz, a 3.5mm headphone jack, HDMI 2.0, and USB 3.0. The Acer Windows Mixed Reality Headset Developer Edition will cost you $299, and you can find it on the Microsoft Store here. HP’s HMD will costs you $329, you can find it here.